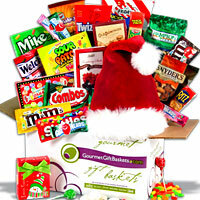 Earlier this year I heard about GourmetGiftBaskets.com for the first time. I was taken in by the plethora of baskets that are available. I was able to get one that was perfect for my daughter who headed off to college this Fall. Well, now that it's Christmas time, I'm thinking about those I love dearly and want to show them in a unique way I'm thinking of them. 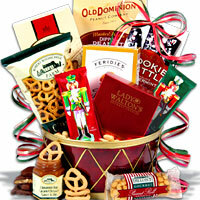 There is a fantastic selection of baskets for anyone and everyone on your list in the Christmas Basket category! Definitely no way you can go wrong when you send a basket that lets someone know you had them on your mind. What I'm so excited about is that by working with GourmetGitBaskets.com they're sending two, count 'em TWO care packages to the Walter Reed Medical Center in Bethesda, MD. This means so much to me because although I don't know anyone who's ever been injured in a war, my brother joined the Army Reserves last year. 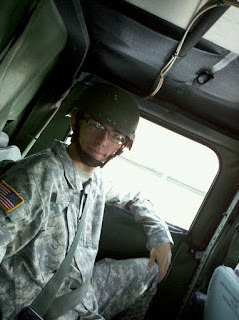 I am so proud of him and every other man and woman who serve in the Armed Services. There isn't any tangible way for me to let those who are my HEROES to know how much I appreciate them, so this chance to have 2 baskets sent because of sharing about GourmetGiftBaskets.com is priceless in my estimation! I want to thank GourmetGiftBaskets.com for working with me again and sending these baskets to those who have given so much because I've written some simple words. It really means the world to me! *I didn't receive any compensation or products for this post. And great idea sending them to the Walter Reed Medical Center! Awesome. 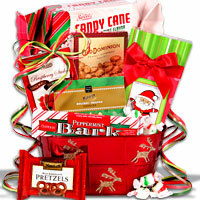 I will have to checkc out this company and I love to send baskets as gifts to my family who live across the country! Thank you for sharing. Thanks for sharing! 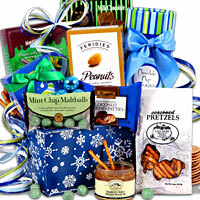 I will have to check out this company as I like to send my family who live across the country gift baskets! So glad to hear of a company that gives back!! Their products sound yummy also! !